Now here's a drink I rarely make. A Hot Toddy has only been ordered a couple of dozen times in over 30 years at the restaurant and I only make one occasionally at home. Why? Because a lot of people simply like other beverage choices. However, some people believe this beverage will help cure a cold or the flu. I will make one for myself or my husband if either of us feels a cold coming on. But for pure pleasure, I would probably choose a different drink. I am not certain, but what I do know is after I have one I am asleep almost before my head hits the pillow. I also know that it soothes my throat and helps clear my sinuses. It seems to help reduce a need to cough. 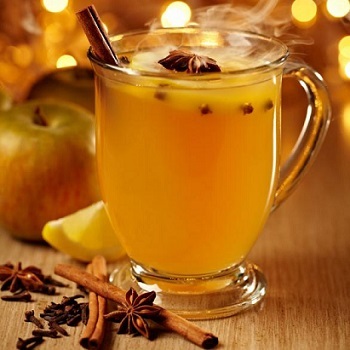 This concoction will relax you and it will warm you during cold weather. Just be ready for bed before you imbibe. And this is also another thing to remember if you fix this drink, feeling a cold coming on. Do not take cold medication(s) in combination with the beverage. If you take cold/flu medications, stay away from alcohol, please. Why MIGHT this alcoholic beverage help relieve symptoms of a cold? Two possible explanations: warm drinks loosen secretions (allowing you to clear out sinuses and breathing passages); the alcohol assists you to sleep (rest) once your breathing difficulties are alleviated and that extra rest allows your body to fight the cold more vigorously. 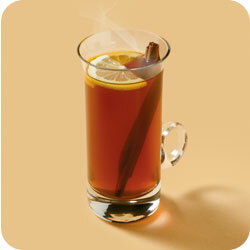 Some say a Hot Toddy was invented by the Scots for medicinal reasons. The Irish take issue with this, claiming they invented the drink. Whoever actually did, we probably will never know. What I can tell you without a doubt is that there are many variations of the recipe. I have two on this page. The first beverage recipe has several options of its own, including what alcohol you wish to use. I prefer brandy. My husband (less discerning than I :-)) likes brandy or whiskey. (And if he is feeling poorly he says to use both! ) And a few people I know like it with rum, especially Meyers 151. And finally, despite its name, don't try drinking a toddy that is too hot. Breathe the fumes, sip slowly and gently. Allow the combination or ingredients to "work." 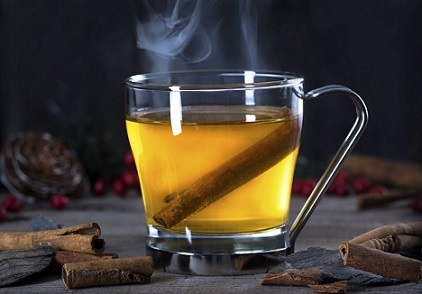 Enjoy your Hot Toddy recipe and any medicinal value it may have. Sleep well. 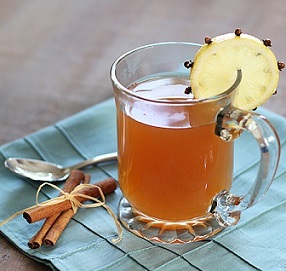 "The Toddy is the vitamin C for health, the honey to soothe, the alcohol to numb."